According to a cherished old adage, which I know is true because I just made it up, if you can’t stand the kitchen, turn up the heat. That’s what my wife, Sue, recently did because she wanted me to take down the wallpaper that had adorned the kitchen for the past dozen years. “It’s practically new,” I told her. The last time I tried to remove wallpaper, in an upstairs bedroom when Sue and I moved into our house 20 years ago, it came off in pieces the size of lollipop wrappers. It took me three days. I could have saved a lot of time by using a flamethrower. Thanks to those haunting flashbacks, I convinced Sue to hire Mike the Paint Guy. Mike, otherwise known as Michael Beck of Island Luxor Painting, turned out to be a good worker who was having a bad week. The day he was supposed to start, he had to take his father to the hospital. Then he had a flat tire. Worst of all, he had a calcium deposit in his shoulder that required surgery. “The doctor said I have the body of a 64-year-old man,” said Michael, who is 32. Next, he revved up an electric sander to smooth out the walls. “May I try?” I asked. “Help yourself,” Michael said as he handed me the whirring disc. “This thing could give me a close shave,” I said. On one of the walls was a phone number. It was for a woman named Bernice, which also was the name of one of our deceased cats. I called, but the number was out of service. “It’s dead, too,” I told Michael. It caused Michael even more pain. But he worked through it and, almost single-handedly over the course of a week, and despite my feeble assistance, did a fantastic job. “You’ll have to wait until Michael is out of surgery,” I said. “Then you can do the prep work,” she said. 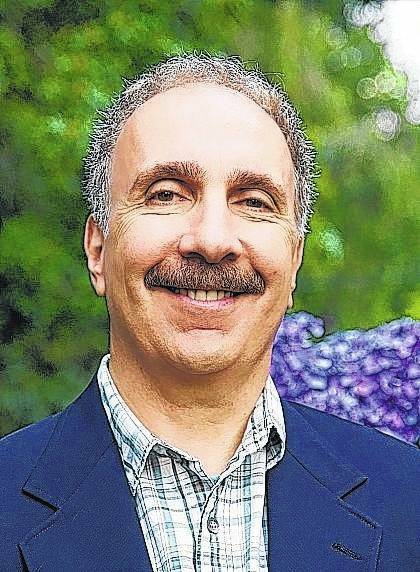 Jerry Zezima writes a humor column for Hearst Connecticut Media Group and is the author of four books. His latest is “Nini and Poppie’s Excellent Adventures.” Email: JerryZ111@optonline.net. Blog: www.jerryzezima.blogspot.com.